Going for a winter trip? Here are aromatherapy recipes for the special challenges of cold weather travel! Essential oils are powerful healers, with little to no side effects. Pack these recipe mixes in your first aid supplies for relief from the common cold, influenza and other viruses you may develop. For a refresher on how to find true essential oils--not just nice-smelling ones--follow this photo link to Aromatherapy, and look for blue bottle photo. You'll see the recipes first, with thorough directions for use later. Enjoy! The recipes above are all designed for an adult bath. For children, reduce the amount to half or one-third. Soak as you like, with more detailed instructions below the recipes. Pour lotion into clean bowl, then mix well with oils and return to bottle. Oils to nourish dry skin: Borage and Evening Primrose. Either of these can be added to the lotion for additional benefit to your skin. 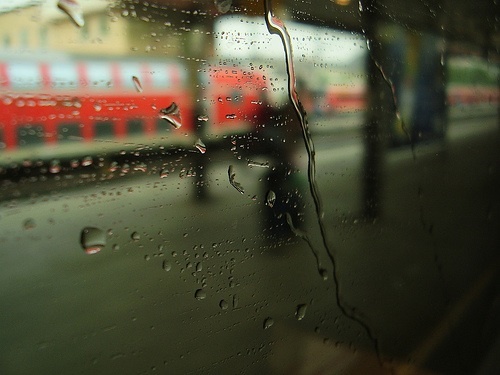 ...all these factors can contribute to what is called the "Winter Blues." You may know it already: feelings of depression, sadness, a loss of energy. Essential oils in the citrus family energize and uplift our spirits. And orange, lemon and grapefruit oils are inexpensive! The blends below can help ease the symptoms of the winter blues, as well as providing a pleasing aroma. To assemble your own bath salts, multiply your recipe by 4, for a total of 20 drops. Combine with 3 cups (450ml) of Dead Sea salt, regular sea salt or Epsom salt, whichever you prefer. Mix well in a clean bowl. (Optional: add 1 tablespoon (12ml) of coconut oil for moisturizing.) Pour into clean bottle or jar with tightly fitting lid. When ready for use, add 1/2 - 1 cup (75-150ml) of salts to filled bathtub, stir with hand until chunks of salt dissolve, and climb in! No time for soaking? Create your own aromatherapy air freshener. Use a clean 4 oz. (100ml) spray bottle with fine mister--not one that has held cleaning products nor hair products! 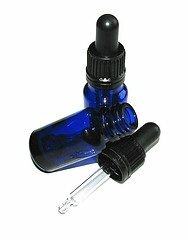 Place either 3 ounces (75ml) distilled water, or half that amount distilled water and half high-proof alcohol in spray bottle. (Important: vodka is suitable; isopropyl or rubbing alcohol are not!) 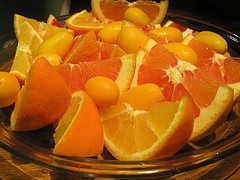 Begin with 20 drops of oil mixture---you must multiply by 4 if using the "Citrus Cheer" recipes above. You may increase this to 30 - 40 drops, if it doesn't seem too strong after a day or so. Shake well; mist lightly around the room, and let the aroma work its magic on you. Using essential oils to relieve common travel complaints shows your health savvy! Have a safe and comfortable trip, wherever you journey. you may like to check out our page on summer travel aromatherapy.